Did your internship promise excitement, glamour, and valuable work experience, and now you're making copies and coffee in an office where nobody knows your name? You're not alone! Laugh it off with this video, then figure out how to be proactive to turn the situation around. You can start by remembering that internships can be frustrating for everyone. After all, your boss may be too busy to supervise your properly, or not sure how to help, and your coworkers may be reluctant to invest their time in someone who will only be around for a short while. But if you stay patient and keep communicating, your boss and coworkers will come to appreciate your positivity and excellent attitude, and you might even build some valuable experience in the process. 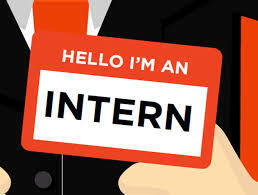 Click here for tips on how to turn your internship into a success.